The Supreme Court on Thursday stayed the Kerala Professional Colleges (Regularization of Admission in Medical Colleges) Ordinance 2017 [Ordinance No.21 of 2017], promulgated by the Kerala government to save admissions to Kannur Medical College and Karuna Medical College by nullifying judicial orders. The two judge Bench of Justices Arun Mishra and UU Lalit observed that prima facie the Ordinance in question blatantly seeks to nullify the binding effect of the order passed by the Supreme Court. "Prima facie it was not open to declare this Court’s order as void or ineffective as was sought to be done by way of ordnance. We place on record that we had scanned the documents regarding admission in the first round of litigation and the case was heard at length for several days. Hard copies were also placed before us; whereafter we rendered the decision after considering that admissions were not given to the students in accordance with law and approved the decision of regulatory committee effective. Thus, it was prima facie not open to sit over the judgment and validate those very admissions and to venture into regularising them". The bench also made it clear that no student shall be permitted to reap any benefit of any action taken and they shall not be permitted to attend the college or the classes or continue in medical colleges in any manner pursuant to ordinance. The ordinance was notified on October 20, 2017, and suffers from apparent constitutional infirmities. The Preamble of the Ordinance states that there was no fault on part of the students whose admissions got canceled. Kannur Medical College is a self-financing institution, run by a private trust, Prestige Educational Trust. Likewise, Karuna Medical College is run by a private trust namely Safe Development Alms Trust. From 2016-17 onwards, admissions to medical college seats had to be done on the basis of NEET merit list after following common counseling process. Regarding the admission process, the high court had passed directions on 26.08.2016 in W.P(c) 28041/16. It was directed that applications for admission should be received only through online mode and such applications shall be uploaded for the scrutiny of the Admission Supervisory Committee immediately on the expiry of the last date for submission of applications. It was further directed that the admission process should be proceeded with only on the basis of a prospectus, for which approval of the Admission Supervisory Committee has been obtained. The Admission Supervisory Committee is a statutory body under the Kerala Professional Colleges or Institutions (Prohibition of Capitation Fee, Regulation of Admission, Fixation of Non-exploitative fee and Other Measures to Ensure Equity and Excellence in Professional Education) Act 2006. According to the committee, there was a patent violation of the orders/directions by these two colleges. The website of the colleges was not accessible most times and also not to the requisite extent. Details of the applications, rejected applications, reason for rejection, whether the opportunity was given to cure the defects, how that was implemented, details of the list finalized etc. were never accounted by the colleges. The reservation of seats in the management quota of Kannur Medical College for dependents of the trustees and staff was found to be bad by the committee. The fee structure fixed by the colleges unilaterally, without executing any agreement with the government, was also found to be excessive by the committee and was reduced. Thereupon, the Supreme Court bench, led by Justice Arun Mishra, upheld the order passed by the high court in October 2016. The Court further barred the colleges from conducting re-admission to these seats for academic year 2016-17. During the hearing, it rejected the plea put forth by the colleges that the cancellation of admissions would affect the future of the students, observing that such admissions could set a bad precedent for private professional institutions. The court then ordered Karuna College to draw a supplementary admission list of 30 meritorious students named in a report submitted by the State Examination Controller and the Admission Supervisory Committee to the Supreme Court. The 30 vacant seats will be occupied by these students. The Kerala Government promulgated Kerala Professional Colleges (Regularization of Admission in Medical Colleges) Ordinance 2017 [Ordinance No.21 of 2017] in order to save the admissions by nullifying judicial orders. The ordinance, which was notified on October 20, 2017, suffers from apparent constitutional infirmities. The Preamble of the Ordinance states that there was no fault on part of the students whose admissions got cancelled. Though the Preamble refers to cancellation of admission by the Admission Supervisory Committee, reference to the orders of the high court and Supreme Court affirming the committee decision is conspicuous by absence. Section 2 is a non-obstante clause, enabling the government to regularize the admissions in any medical college during the academic year 2016-17, ignoring any judgment, decree, order or proceedings of any court or the Admission Supervisory Committee. As per Section 3, the management of the colleges seeking regularization should make an application to that effect, within fifteen days. The Ordinance also fixes a regularization fee, which is Rs 3 lakh per student, as per Section 5. In short, by paying Rs 3 lakh per student, the colleges can regularize the cancelled admissions. 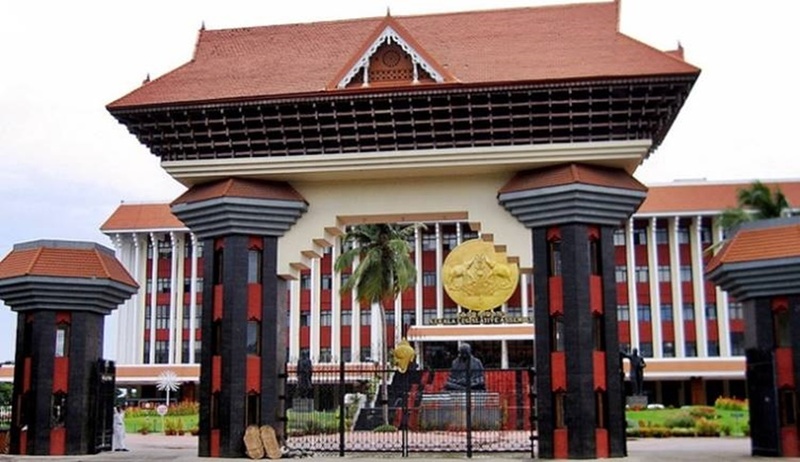 A day earlier on Wednesday, the Kerala Legislative Assembly had unanimously passed the Kerala Professional Colleges (Regularisation of Admission in Medical Colleges) Bill of 2018.